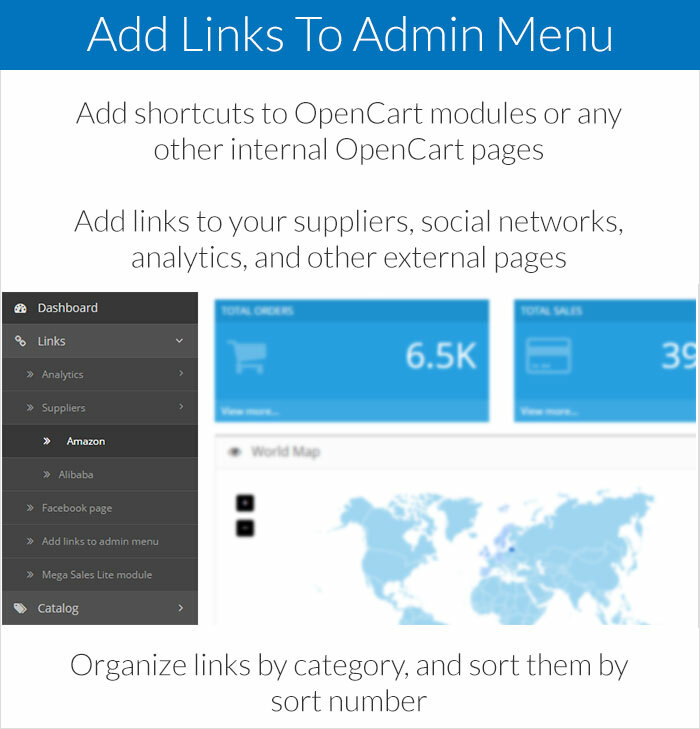 Add Links To Admin Menu lets you organize your OpenCart and have all the useful links in one place.You can add external or internal links (shortcuts to modules, pages, social network accounts, analytics, suppliers, etc.). 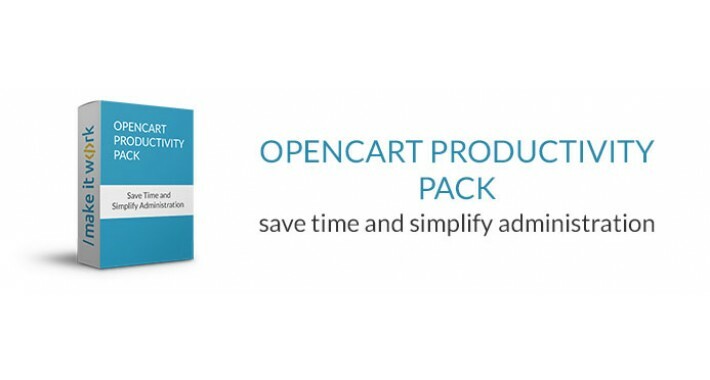 OCMOD version available for OpenCart v2.0.1.0 - v3.x.x.x. VQMOD version available for OpenCart v1.5.5.1 - v2.2.0.0. 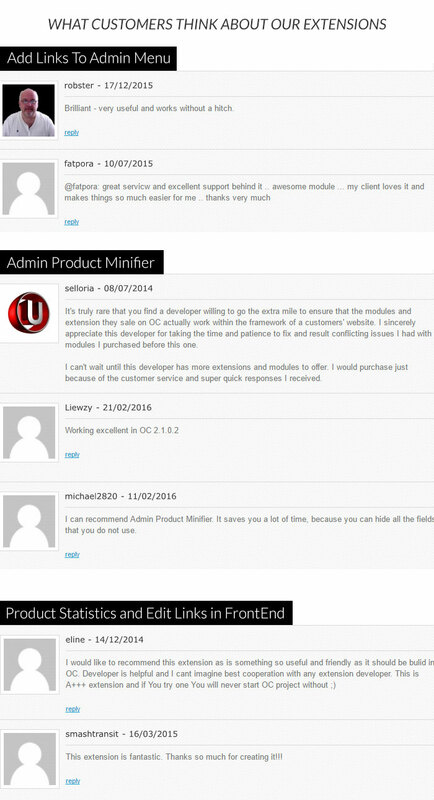 Admin Product Minifier lets you hide unnecessary fields and tabs from Admin >> Catalog >> Product form. It's a great tool for simplifying product administration. VQMOD version available for OpenCart v1.5.4 - v2.2.0.0. 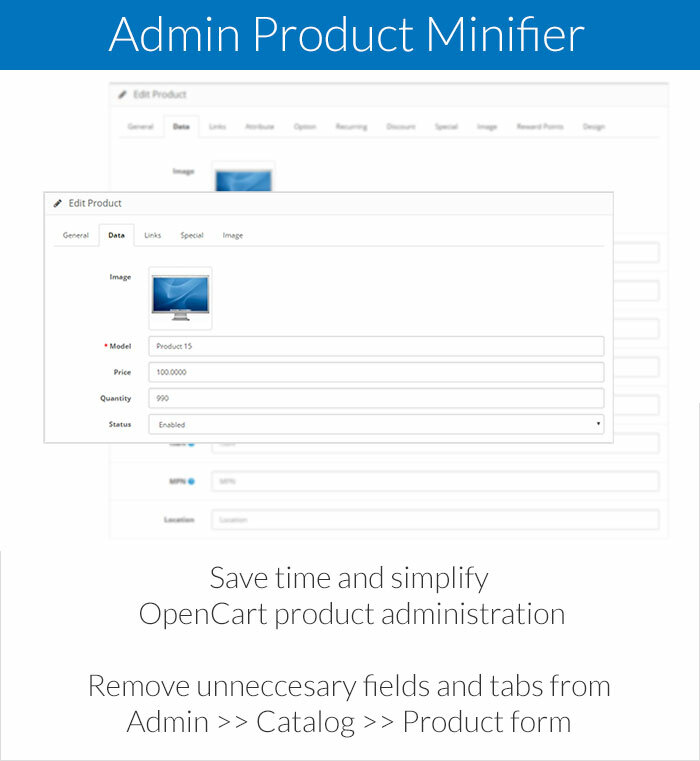 Admin Category Minifier lets you hide unnecessary fields and tabs from Admin >> Catalog >> Category form. 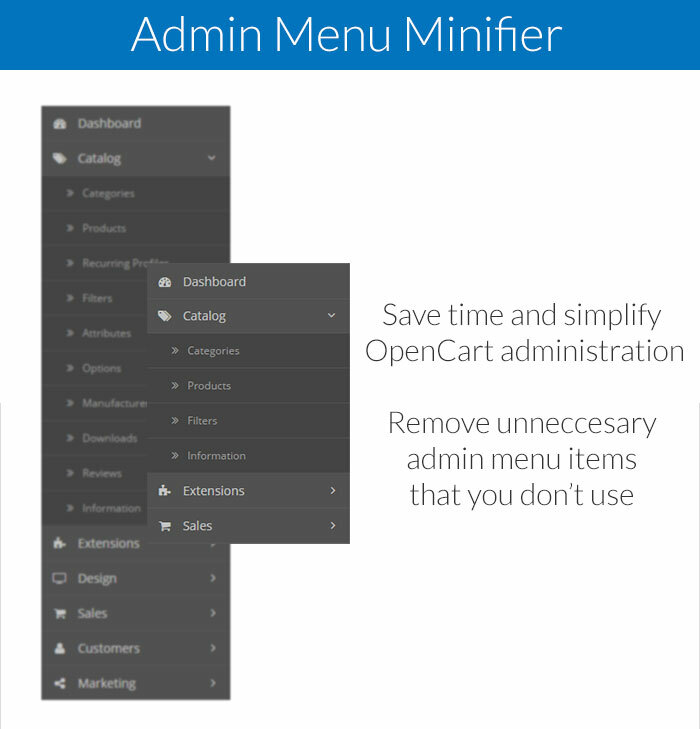 Admin Menu Minifier lets you hide unnecessary links and tabs from OpenCart admin menu. You can easily remove all the links that you don't use. 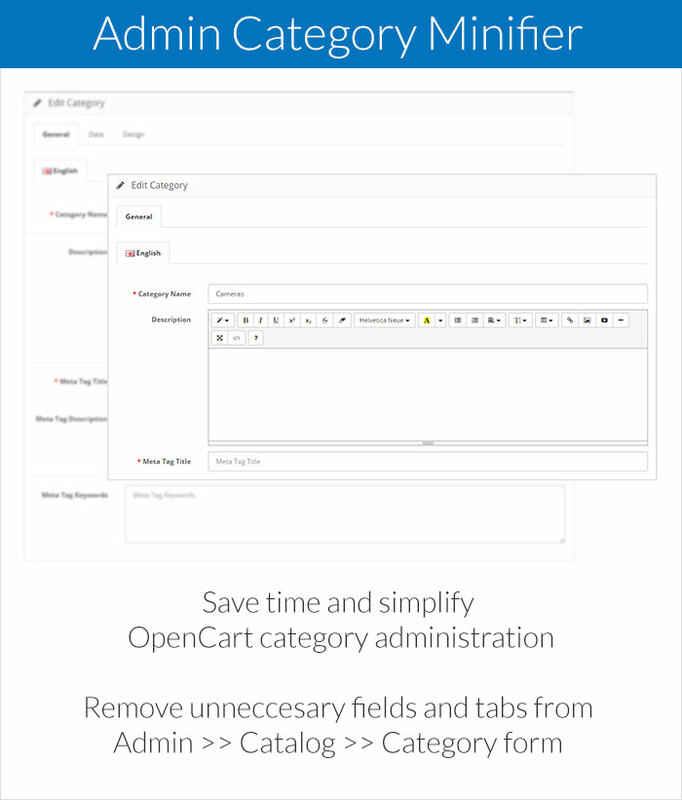 OCMOD version available for OpenCart v2.2.0.0 - v3.x.x.x. VQMOD version available for OpenCart v1.5.5.1 - v3.x.x.x. 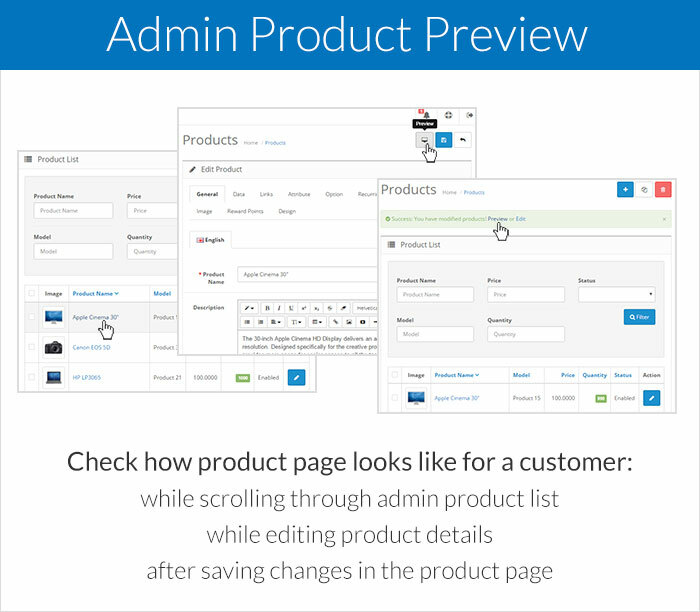 Admin Product Preview lets you preview product from admin panel before or after saving changes or adding a new product. 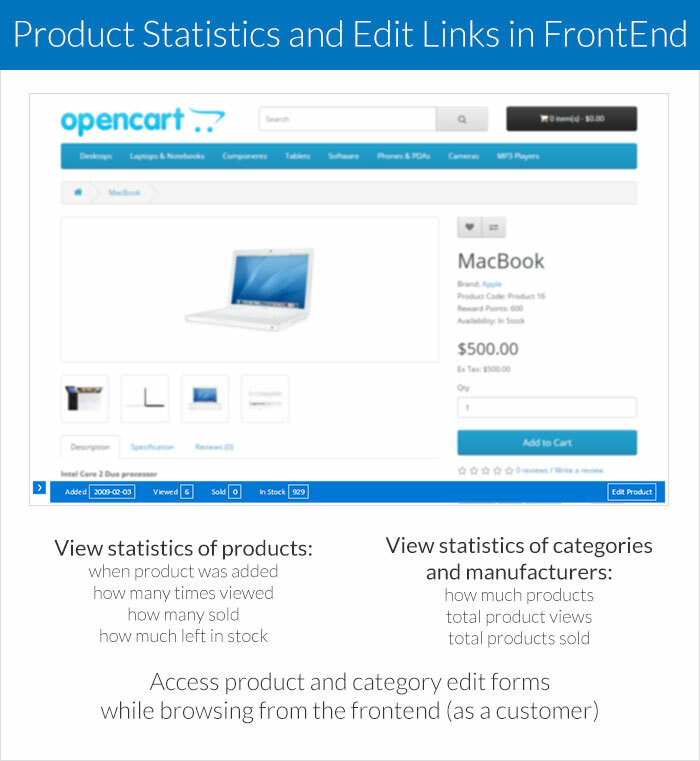 Preview links are shown in the product list, product edit page and after saving product information. 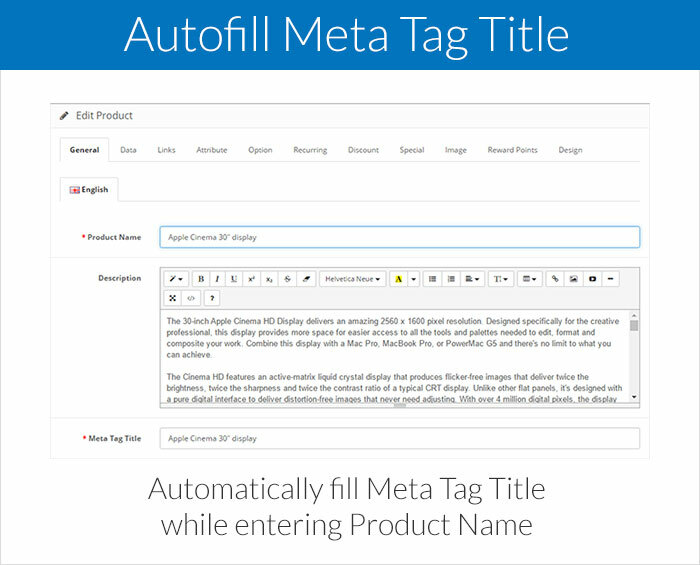 Autofill Meta Tag Title automatically fills Meta Tag Title while you're entering product title. VQMOD version available for OpenCart v2.0.0.0 - v3.x.x.x. 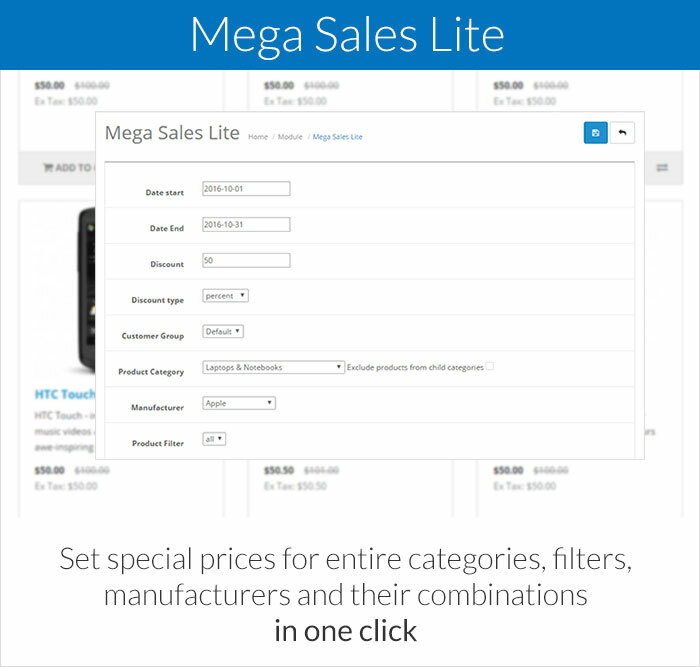 Mega Sales Lite lets you set special prices for all products sorted by category, filter, manufacturer or their combinations in one click. 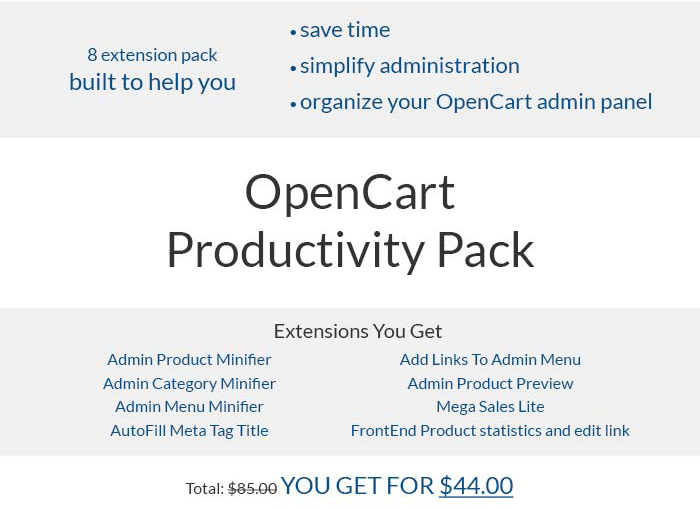 Extension available for OpenCart v1.5.5.1 - v3.x.x.x. versions. No OCMOD or VQMOD needed. Some of the extensions require VQMOD so make sure you have it in your OpenCart system. ALREADY HAVE THIS EXTENSION PACK? Don't forget to rate it!